Hello Friends, As we know, the IB (Intelligence Bureau), Ministry of Home Affairs, has recently released the notification for recruitment of Assistant Central Intelligence Officer (GradeII/Executive) or IB ACIO Recruitment 2017. Many aspirants are waiting for this exam as this is a good opportunity who are willing to work in government sector. This time notification if notified for total 1430 vacancies. 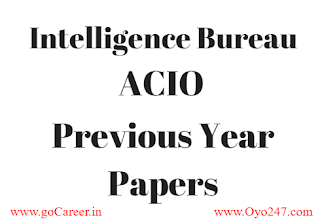 In preparing for any exam mock test and previous year question paper plays an important role, so for our readers, we are sharing previous year question papers on this page.These papers will not only help you in understanding the pattern of the upcoming IB ACIO 2017 exam but also in practising the exam. 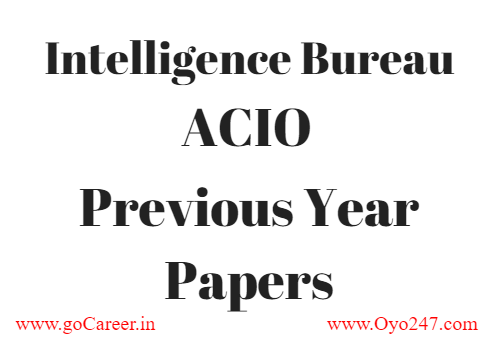 Below we are sharing last 3-year exam question papers of IB ACIO, IB did not conduct ACIO exam in 2016, i.e 2015, 2014, 2013. Agriculture and Animal Husbandry Corporation (AAHC) has invited online applications for various posts (total 1600 posts) from interested students. Interested candidates can check the eligibility criteria and apply online from 12-08-2017 to 02-09-2017. I am sure you also have read this notification. But this is fake. 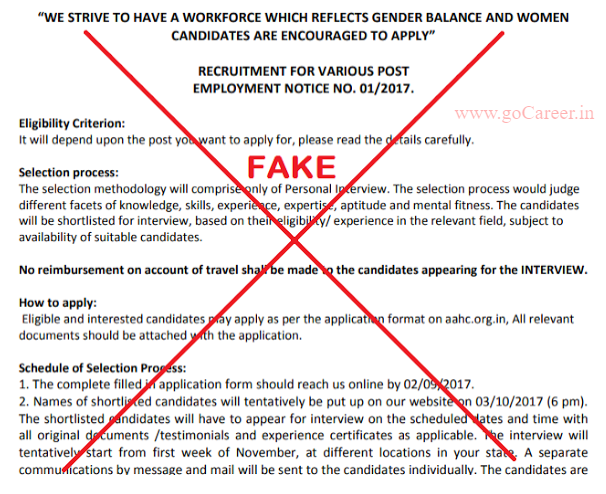 Update- This is a fake requirement, So do not apply. Why This Requirement Seems Fake? 1. The website http://aahc.org.in was created on 06 May 2017, just 3 months before, and going to expire on 06 May 2018. 2. The real website for department Agriculture & Animal Husbandry(AAHC) is http://dahd.nic.in and http://dadf.gov.in, this information can also be confirmed from the website of Government of India https://india.gov.in/topics/agriculture/animal-husbandry. 3. Websites with the domain ".gov.in" and ".nic.in" are 100 percent genuine websites of the government of India and can be used only for government officials But this fake website domain is .org.in which can be used by any ordinary people. 4. The mobile number mentioned on whois is switched off. 5. 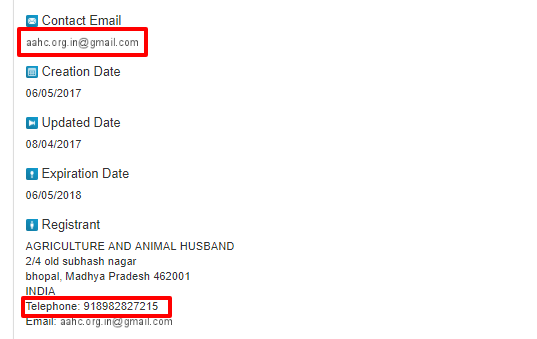 As per government instructions gov officer/ offices has to use only government mail ids. 6. Most of the links on the website are showing under construction other than the apply online link. So this is advised by goCareer.in team that do not apply for this vacancy as this leads to financial loss and you can also lose you identity.